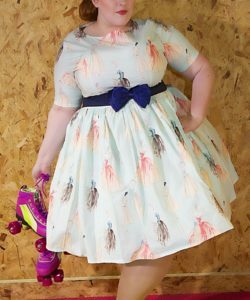 Lovely dress with full circular skirt made in a traditional 1950’s style and using 1950’s inspired patterns. 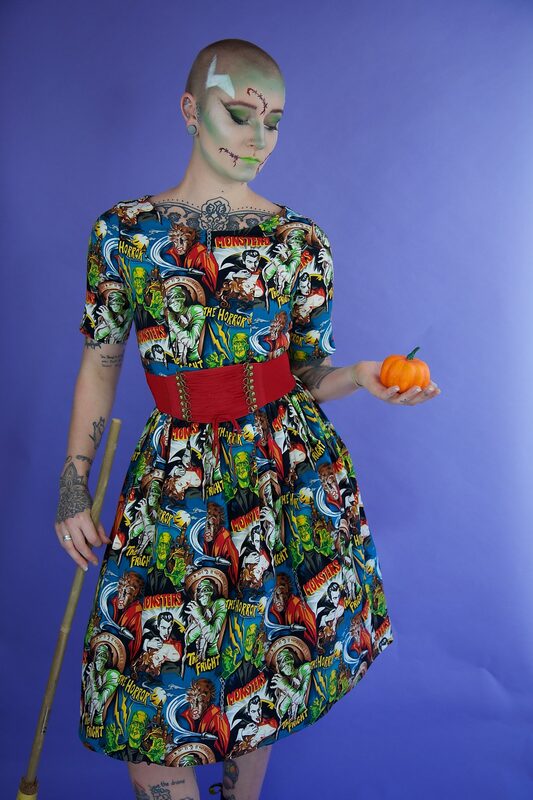 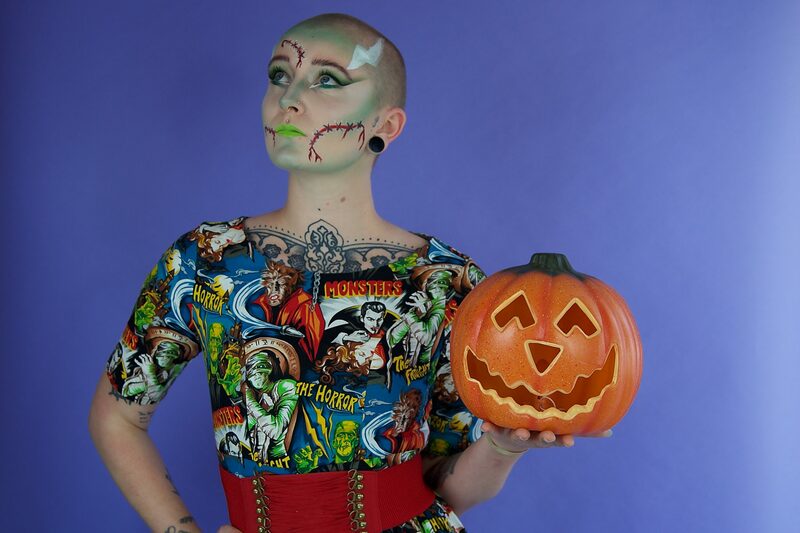 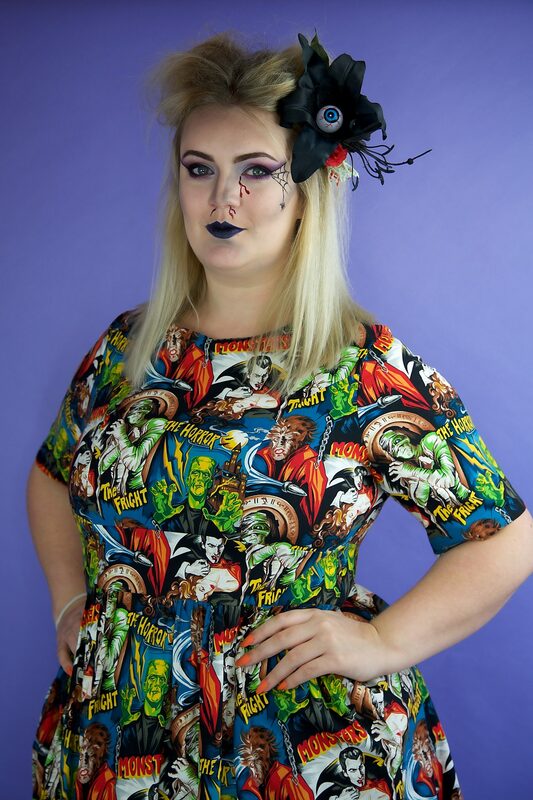 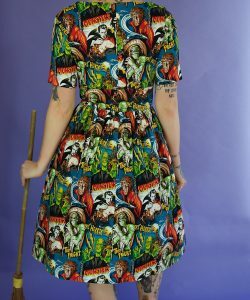 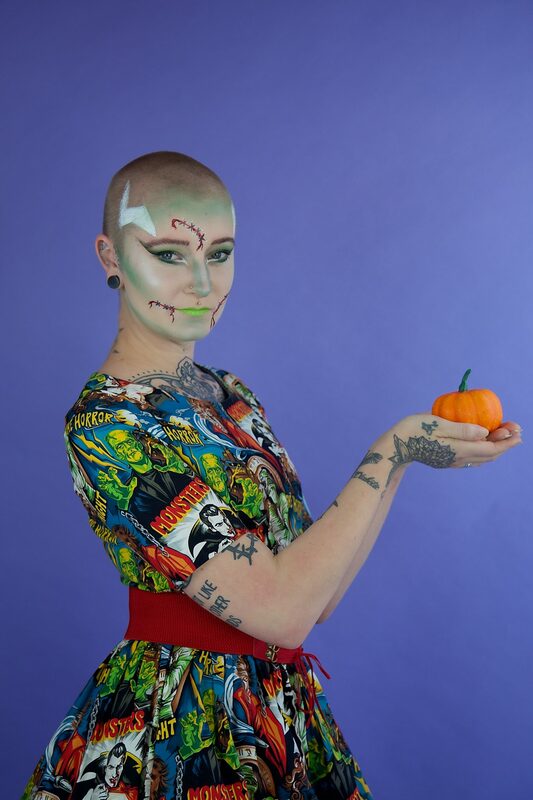 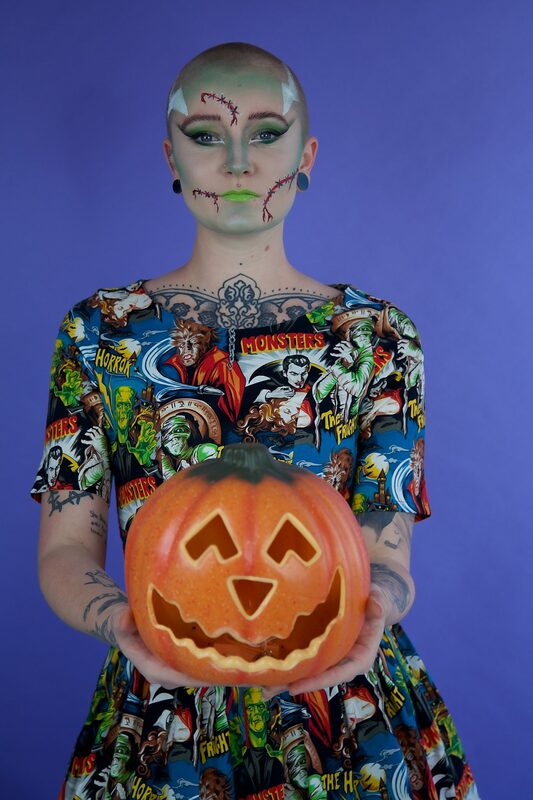 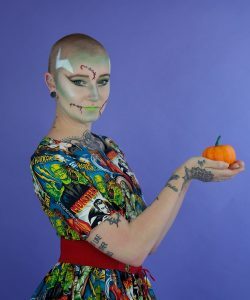 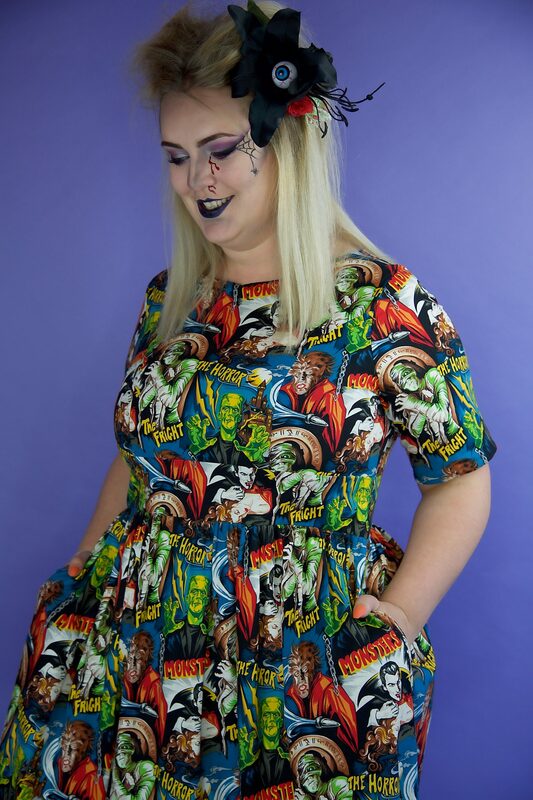 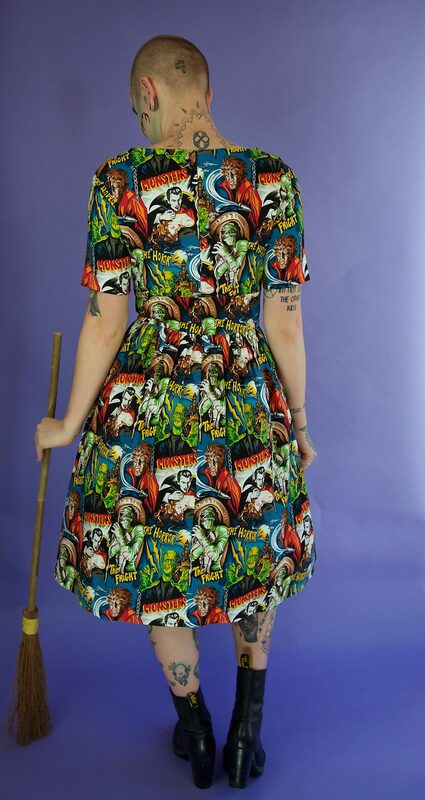 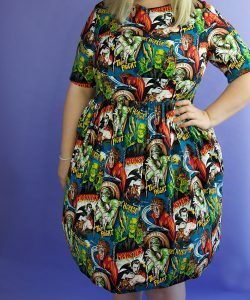 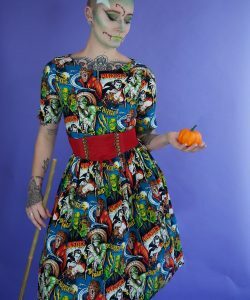 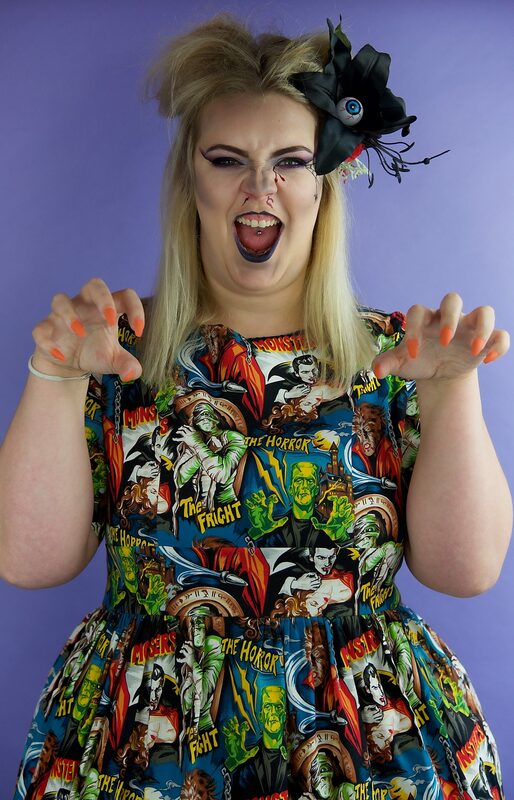 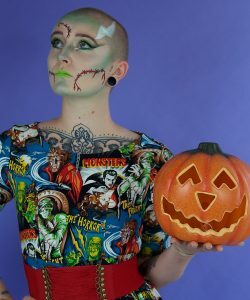 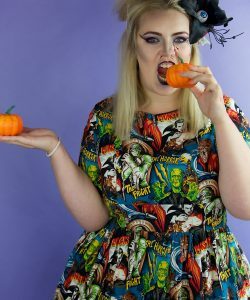 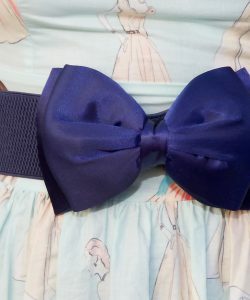 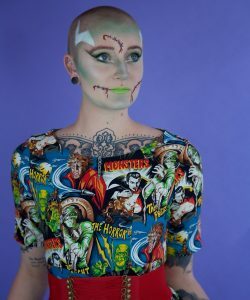 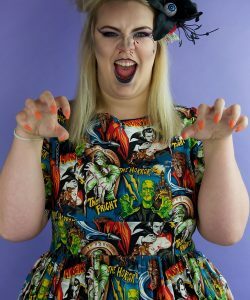 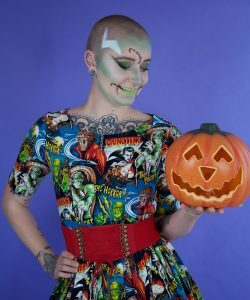 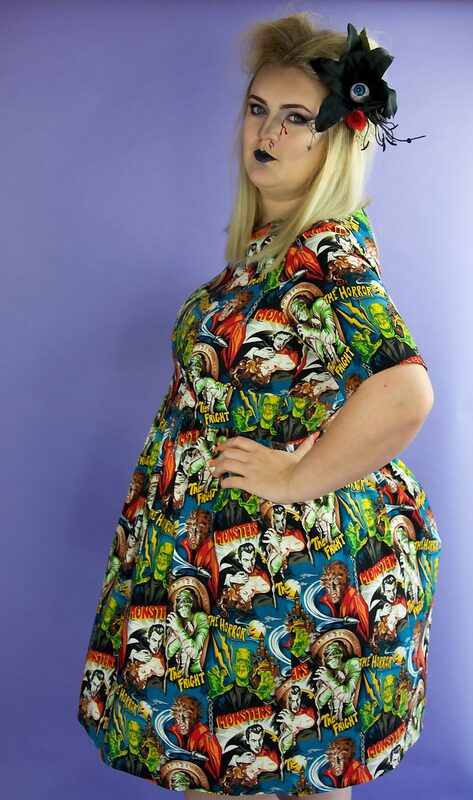 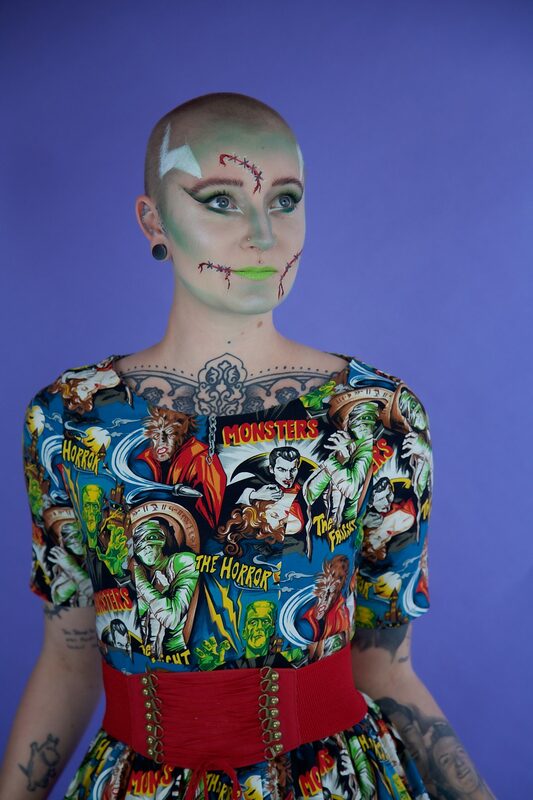 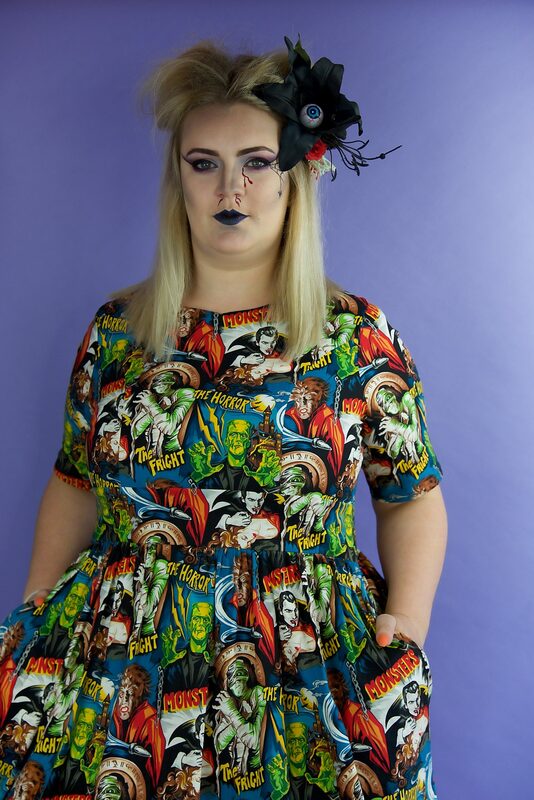 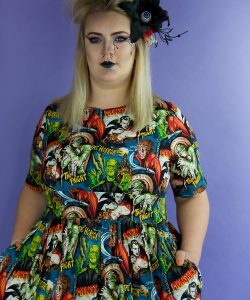 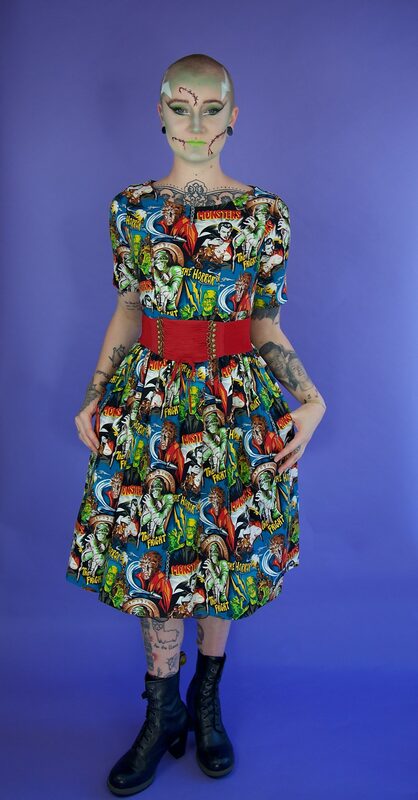 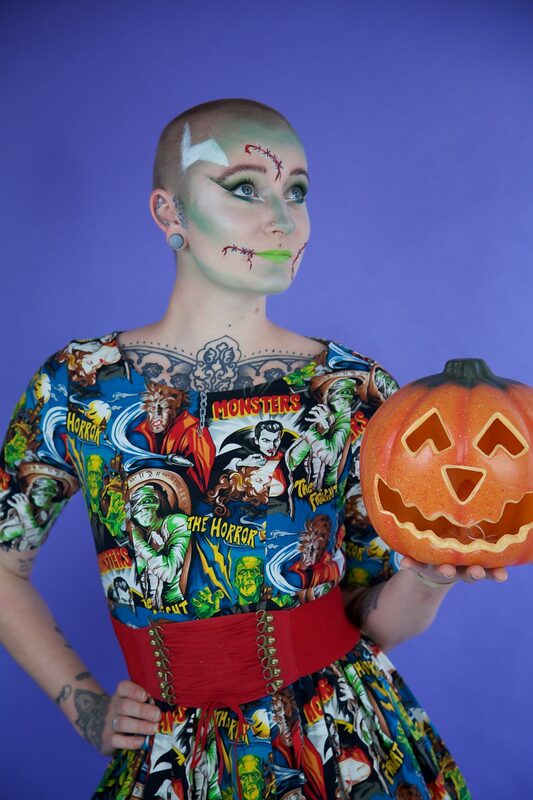 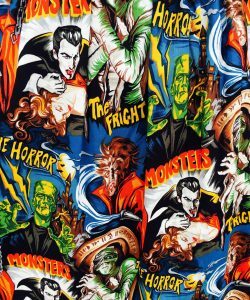 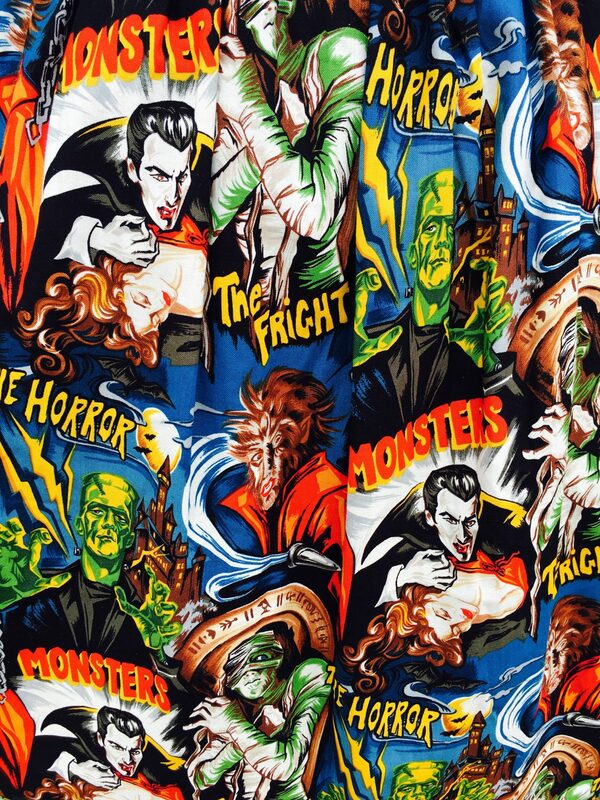 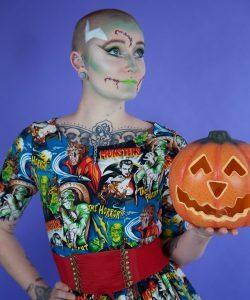 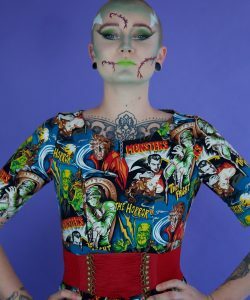 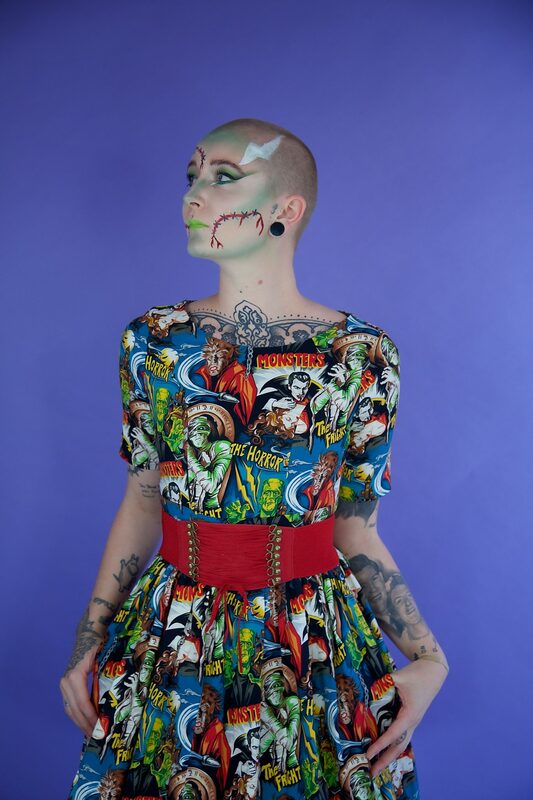 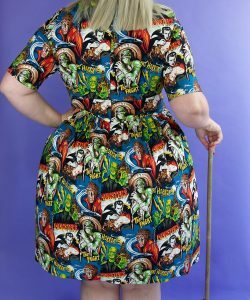 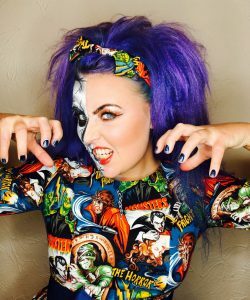 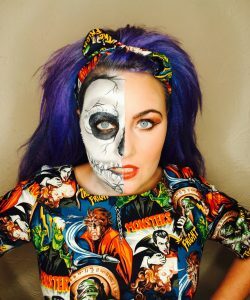 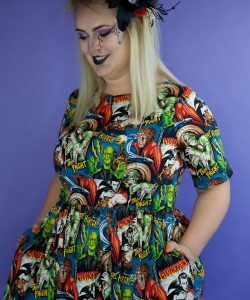 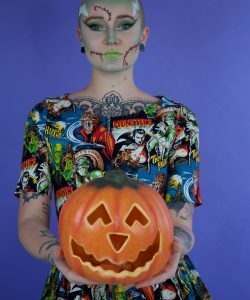 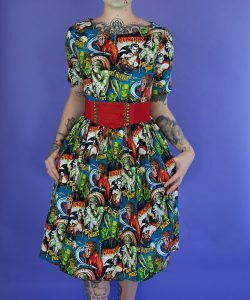 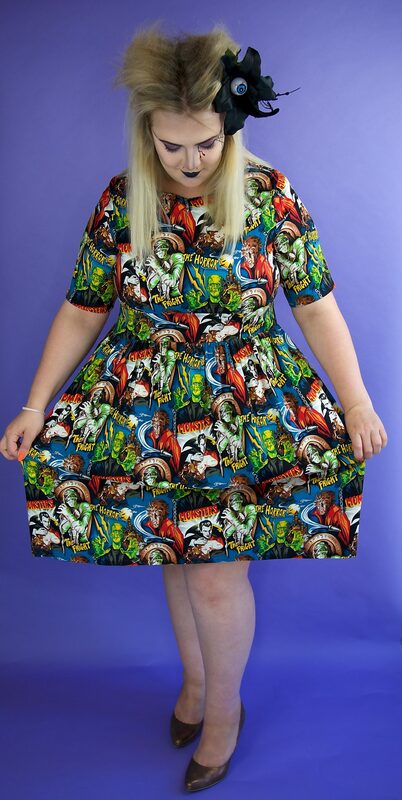 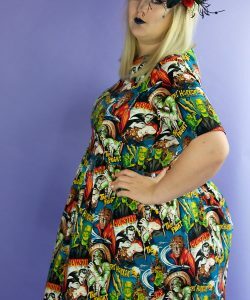 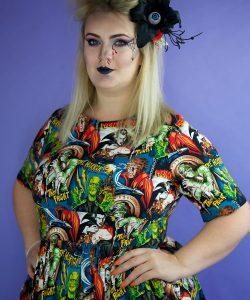 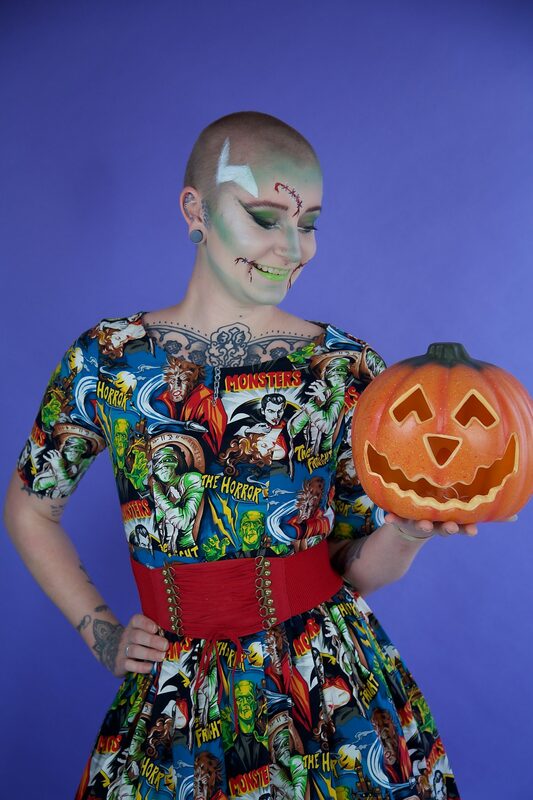 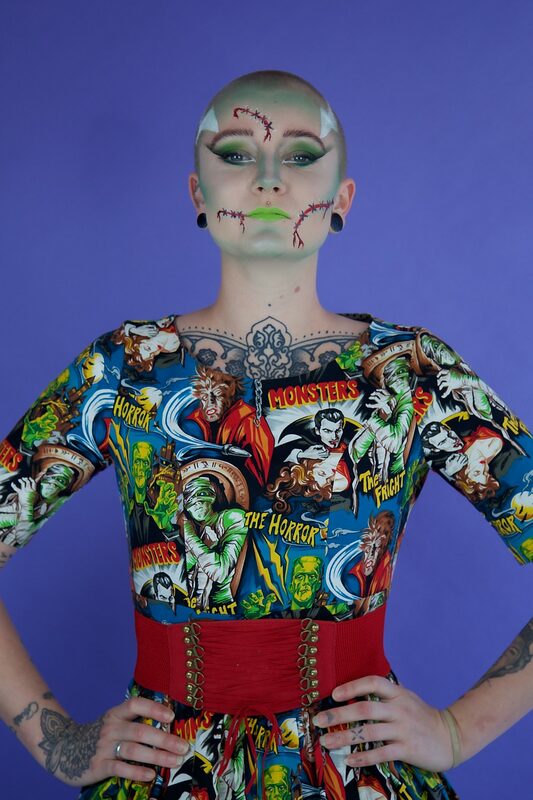 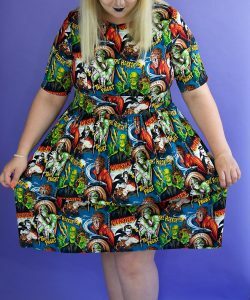 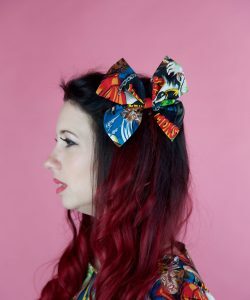 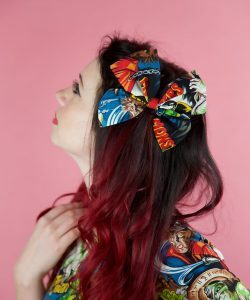 Made from 100% Cotton in a fun Halloween Monsters dress design, with centre back zip, the dress is made to be worn with a petticoat (not provided) to allow for a fuller finished look. 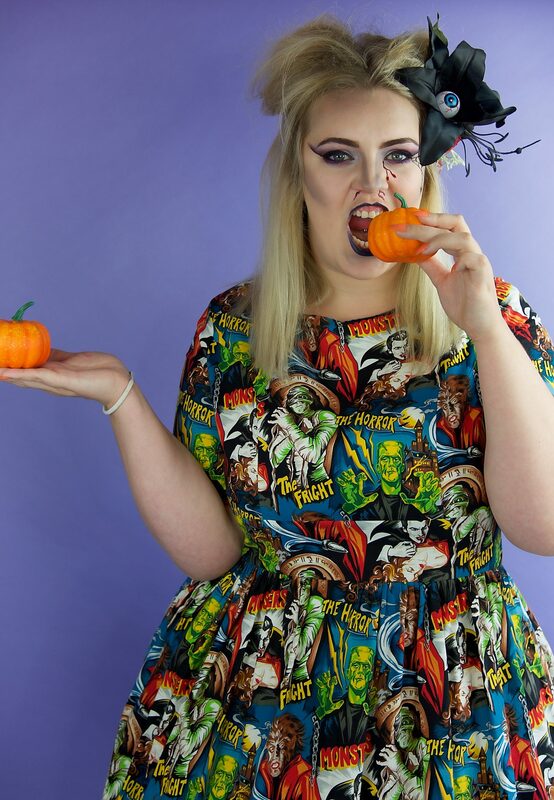 Megan is wearing a size 8 and Faith a size 18.